My first taste of Virtual Reality (‘VR’) was the Solar Exploration experience, “Titans of Space”. Viewed through a basic “Google Cardboard” headset, I left my friend’s Battersea living room far behind, and flew to the outer rings of Saturn. By turning around on the spot, I could glide around a simple representation of the solar system. ‘Awe’ is a fair description of how I felt during this first VR experience. This sensation of ‘awe’, and the desire to understand how it is created in the viewer’s mind, has long fascinated filmmaker Anand Gandhi, founder of Memesys, the Mumbai studio responsible for of this year’s VR films. Gandhi is a leading filmmaker amongst the new wave of South Asian cinema highlighted by LIFF and its Director Cary Sawhney. Gandhi’s debut feature, Ship of Theseus, was praised by film critic Derek Malcolm as a film that changed his life. The film weaves elements of Jain philosophy through three narrative strands. Each lead character is bestowed with a calm resilience, and the ability to perceive something of rare value. The narrative threads are woven together to create a deeply moving climax, with an exquisitely crafted, ‘Kieslowski on MDMA’, sense of ‘awe’. This feeling of ‘awe’ inspired the Bagri Foundation London Indian Film Festival (LIFF)’s inaugural VR showcase. 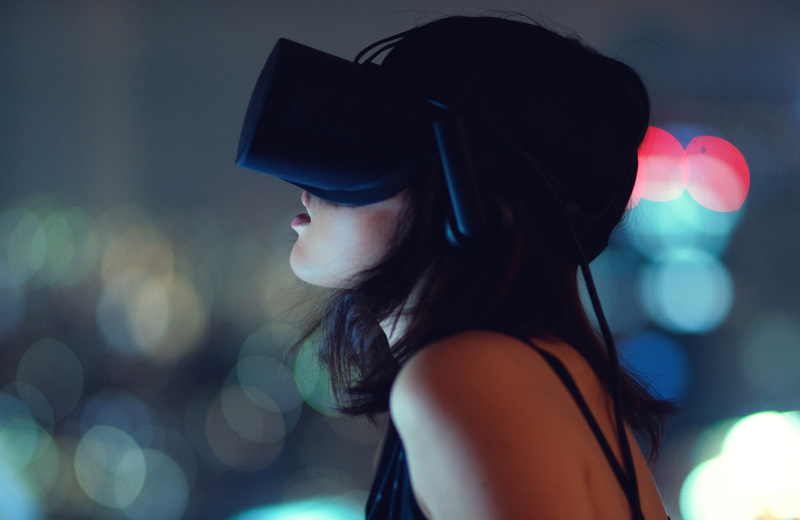 Throughout 2016, waves of Venture Capital funding entered the VR and AR industry, with applications ranging from military to education, and healthcare to scientific visualisation, engineering, real estate, and retailing. The way in which new technologies such as VR find their place is sometimes said to be ‘path dependent’. If I’ve understood correctly, this means that how VR is used now, will influence the ways in which the technology is used in the longer term. I’ve never been much interested in the work of real estate agents or weapons manufacturers. I am not made happy by the prospect of creating new ways of selling people stuff that they do not need. So the fact that one of the world’s most enlightened filmmakers chose to place his directing career on pause, to set up a VR studio in Mumbai, is a source of deep hope in this new medium. The films screening during LIFF 2017 will not take the viewer to Mars, but they will allow them to visit the flooded plains of North East India, in ‘Submerged’. They will place the viewer at the heart of impassioned street protests: ‘Right to Pray’ deals with the ban on women’s entry at Trimbakeswar temple; and ‘Caste is not a Rumour‘ highlights the story of Dalits and Muslims being beaten up by Gau Rakshaks. For anyone inspired to take a trip to the bustling metropolis of Mumbai, there is ‘Mumbai Summer’, a short travelogue from fellow Mumbai studio Meraki, which kicks off with Danny Boyle’s quote that ‘It’s not so much what you learn about Mumbai, it’s more what you learn about yourself’ as its starting point. Fans of the supernatural will be able to view two genre films from Meraki: Phobia, starring Radhika Apte, and the J-Horror-esque Shower With Me? We are also extremely proud to be showcasing the work of London-based filmmaker Jayisha Patel, whose deeply moving film Notes to My Father employs VR to convey meaning in ways not possible with a conventional film. The showcase is free to the public and will take place in the ticket hall area of BFI South Bank on Saturday 24th and 25th June , from midday until 8pm.